Let’s talk a break from policy, politics, industry and recalls. Instead let’s focus on things on which we can all agree. One of the best things about car culture is the enthusiast. And in this post, I have curated some newsworthy items that will satisfy the enthusiast in all of us. Route 66 is important to car culture for so many reasons. With the centennial anniversary in 2026, enthusiasts are hoping to preserve, protect and promote that legendary ribbon of asphalt and the landmarks on either side of it. 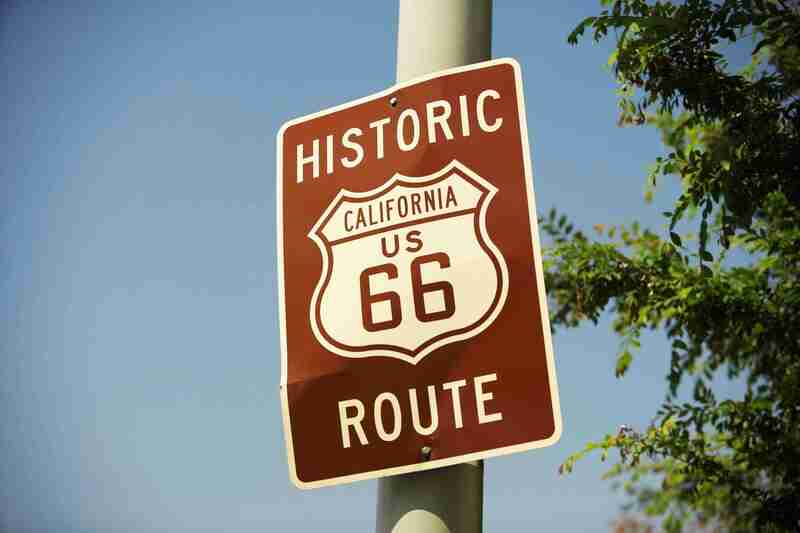 http://autoweek.com/article/car-life/bill-proposed-future-route-66-preservation The Route 66 Centennial Commission Ac, H.R. 66 was recently introduced by Rep. Rodney Davis of Illinois and sits awaiting hopeful passage at the House Committee on Transportation and Infrastructure. For the enthusiast, this might be money well spent. Ford just announced the performance numbers on the new GT and they are insane. http://www.autoblog.com/2017/01/25/ford-gt-faster-than-ferrari-458-mclaren-675lt/ Top speed in the new GT is 216 mph and it puts out 647 horsepower. Ford’s GT is also faster than the McLaren and Ferrari. Click the link to get all the details. The racecar driver in me really wants to get behind the wheel and put it through its paces. While talking performance, we really ought to bring up the Dodge Challenger SRT Demon. http://www.foxnews.com/auto/2017/01/26/dodge-demon-will-smoke-street-legal-slicks.html This beast is going to be the biggest, baddest muscle car on the block. To complement the engine brawn, Dodge equipped the Demon with barely street legal Nitto tires and the widest tire on any vehicle and accompanying fenders. And enthusiasts are trying to figure out if the license plate is a cryptic message or not. Another drool-worthy car is this Aston Martin Vanquish Volante S http://www.autoblog.com/2017/01/26/aston-martin-vanquish-s-volante-revealed/. This Aston Martin features an almost prehistoric naturally-aspirated 5.9 liter V12, puts out 580 horses and sounds amazing. It is cars like this that making loving cars so much fun. Enthusiasts. We naturally congregate and talk cars and stats and in this case, race on the beach http://www.automobilemag.com/news/the-race-of-gentlemen-2017/. The Race of Gentlemen—don’t let the name fool you, women raced too—happened last October in Pismo Beach, CA. The Race of Gentlemen is a throwback to the post-war American car culture. Thus, plenty of vintage motorcycles and hotrods raced across and enthusiasts just had a great time. The photos and quotes from car lovers is worth the read. What types of cars and events make you appreciate car culture? The Bronco will have solid axles. That is a good sign for the off-road enthusiasts. Ford, listen to us closely. We want, no need, the Bronco to be everything that was great about the original models. Please don’t mess this up. We want you to build a Jeep fighter, an off-road vehicle that we can use to escape from a zombie apocalypse if we had to. The solid axles are a good start. But with lots of time between now and the unveiling we will just have to wait and hope and pray. Post your comments on my Facebook page: Lauren Fix The Car Coach or on Twitter @Laurenfix.